Just a lady in love with nails. Things have been pretty quiet around here but for very good reason. I have been very busy these last six months researching and finally creating my own line of indie nail polish! This is very near and dear to my heart and has been such a journey but with a community full of very supportive indie makers I have made it to my launch day! Here are some swatches from my first collection. Green Goddess is a muted seafoam green with gold shimmer and flecks. I had to really edit this photo to get a color accurate depiction of the polish so that is why my skin looks red. Two coats for full opacity. 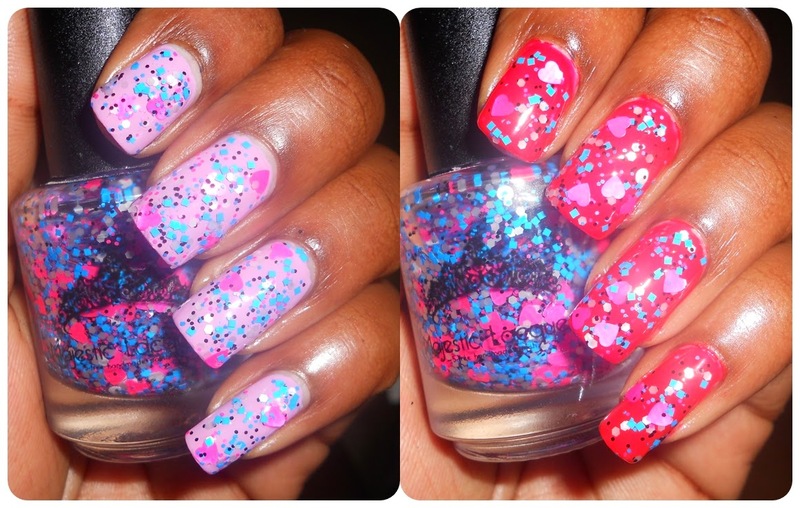 Heartbeat has a clear base with a mix of black, white, blue and hot pink glitters and hot pink heart shaped glitter. Two coats over pink and red. 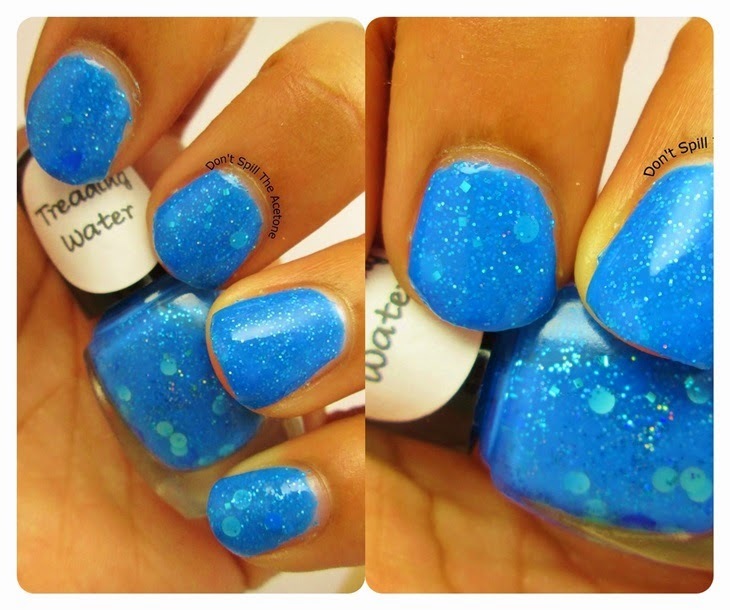 Treading Water is a medium blue jelly base with navy blue, shimmering bright blue, aqua, and holographic glitters in varying sizes. Photo credit to Alaina from Don't Spill The Acetone. 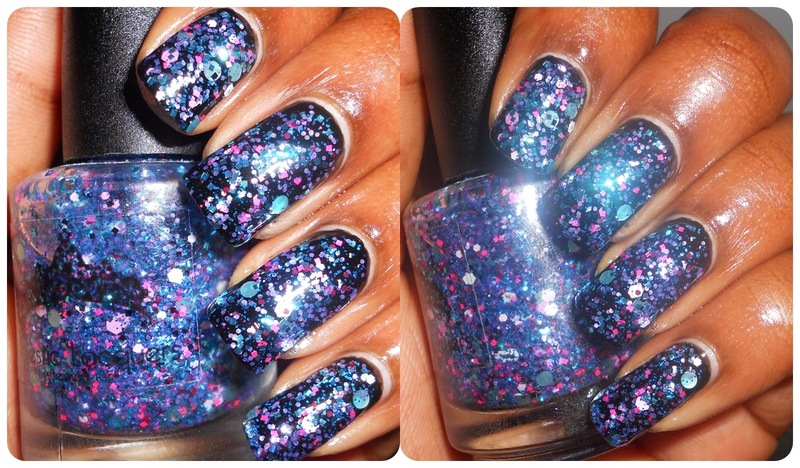 Majestic Magic is a total glitter bomb. Blue, purple, pink and white glitter topper with aqua dot glitter. Looks amazing over black. Is a topper but could be layered to complete coverage. Hey folks! So this manicure came out sort of by a terrible accident in my garage one night using a jar from the dollar store and a LOT of nail polish. Without going into the embarassing long version of that story these nails were born! I started off with two coats of Wet n Wild - The Crown is Mine then stamped a gradient using Sinful Colors - Endless Blue and Cult Nails - Riot and sealed with top coat. Then cue my later that night accident for the lovely orchid colored shading and you have my manicure! You can see the differences between some of the photos that you can see the orchid color and where you can't. Needless to say, I LOVE this manicure! 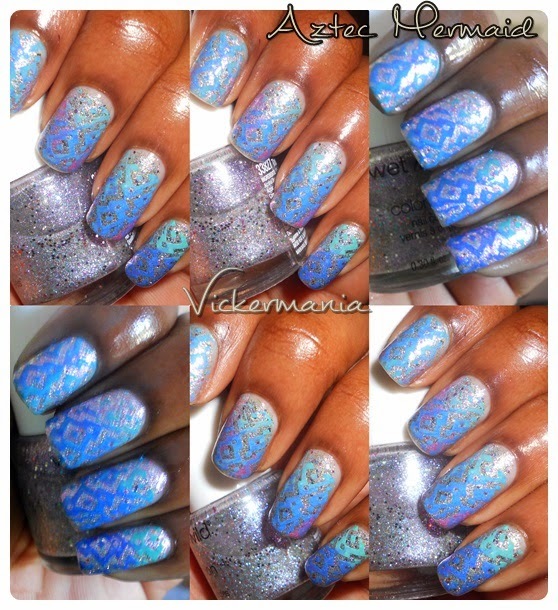 It looks absolutely stunning in the sun and the stamping is much more vibrant in person. No chips at all and wearing like iron I may leave this one on the rest of the week. What is your worst nail polish snafu? Let me know in the comments and thanks for stopping by. Happy Monday! Hope you had a great weekend. 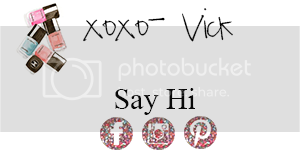 Today I have another texture/stamping combination. I really love this combo so expect to see more! I started off with two coats of China Glaze - I'm Not Lion and then using my Pueen stamping plate created a gradient using JulieG - Cabana Boy, Zoya - Malia and H&M - Come With Me. I sealed with top coat and blinged all day long in the sun. So what do you think? Let me know in the comments and thanks for stopping by. Happy Friday! I plan to spend this weekend poolside if it's the last thing I do! I created this manicure while binge watching The Mindy Project so this manicure is definitely inspired in part by Dr. Mindy Lahiri. 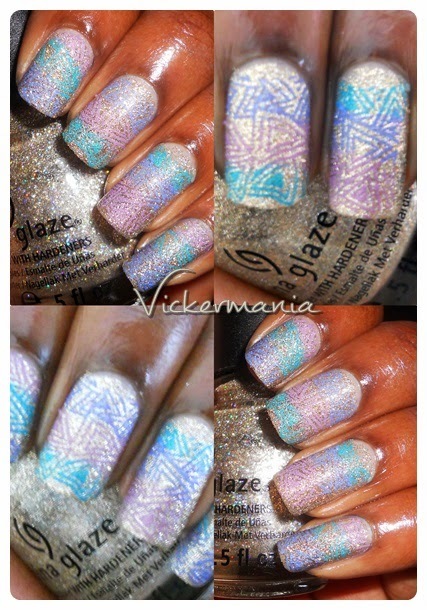 I began with one coat of Zoya - Malia then sponged on a gradient using H&M - Come With Me and JulieG - Cabana Boy. Then I topped with a beautiful heart glitter combo and sealed with one coat of top coat. 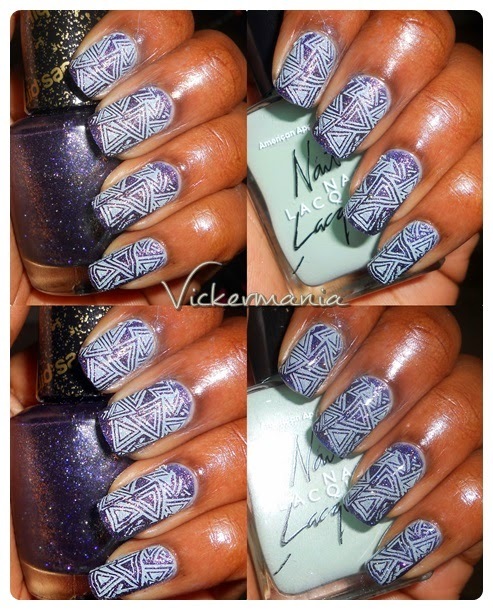 I would love to know your thoughts on this manicure. Let me know in the comments and thanks for stopping by. Have a great weekend! I'm not entirely sure what inspired this manicure but I knew I wanted a super sparkly base with a pastel creme stamped over it. This is what was born. I started off with two coats of OPI - Alcatraz Rocks then used my Pueen plate to stamp on a coat of American Apparel - Office and then sealed with two thick coats of top coat. 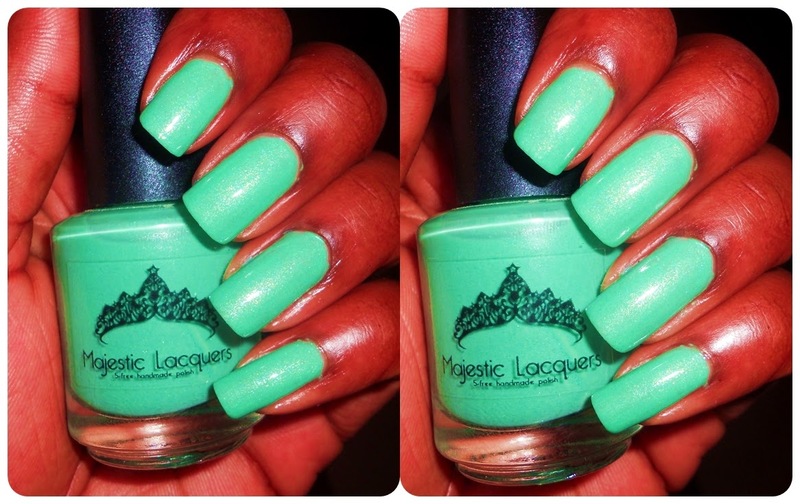 This looked great in the sun and the mint shade really brightens up a dark manicure. So what do you think of this combo? Let me know in the comments and thanks for stopping by!